Following the management buyout of eCOGRA earlier in the year, it has been decided to restructure and streamline the Board to reflect the Company’s current ownership. As a result of the restructuring Non-Executive Directors Michael Hirst OBE, Bill Galston OBE and Frank Catania will be leaving the Board as of the 31st December 2011. The new Board will be comprised of Chief Executive Officer Andrew Beveridge and Tex Rees, who have been part of the organisation’s management team since 2003. 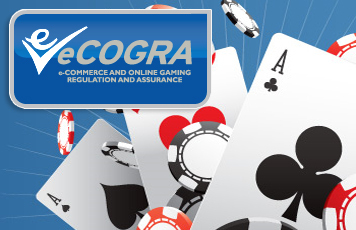 Andrew Beveridge said, “I am very grateful to Michael, Bill and Frank for their enormous contribution in helping to establish eCOGRA as a pre-eminent independent remote gambling standards body and testing agency and steering the Company to its new found status. “I look forward to the next chapter of our growth as we set out to use our exceptional and unrivalled experience in providing services to jurisdictions, whilst maintaining our unique eCOGRA seal assuring player protection on approved sites”.